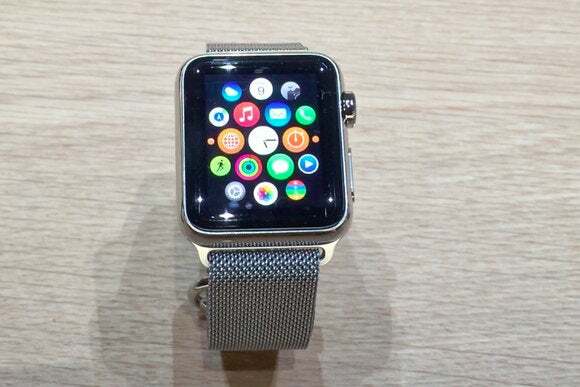 It's New Everything Week at Apple, with preorders beginning Friday for the Apple Watch. (Susie still isn't sure which one to get, but she's narrowed it down to three. OK, four.) Also launching this week is the new MacBook and its tiny USB-C port, which Glenn can't wait to test. Oh, and some movies on the iTunes Store, something about a war in the stars? Could be good. We also take another chance to point and giggle at CurrentC (QR codes, seriously, those never cease to make us chuckle), and talk about whether the rumored new Apple TV needs 4K, or if our broadband can even handle that. Special thanks to this week's sponsors. For a limited time, get up to 80 percent off a selection of digital lessons by The Great Courses. Visit thegreatcourses.com/macworld. Experience a clean, close, comfortable shave with Harry's, and get $5 off your first purchase with coupon code MACWORLD at Harrys.com. And for a free 100-day trial of a comfortable foam mattress from Casper—plus $50 off the already-low prices—visit www.casper.com/macworld and use promo code MACWORLD. You can find previous episodes of our audio podcasts at Macworld’s podcast page. And you can always send us feedback about anything you hear on the show.